If you have a big tax bill that you can’t pay, life seems pretty bleak. While the number of tax liens annually filed by the IRS against taxpayers has dropped by more than 50 percent since 2010, there were more than 14 million open tax-debt cases against individuals and businesses heading into 2018, according to the IRS data book. Despite one of the longest-running economic growth periods on record over the last decade, millions of Americans continue to struggle to pay their taxes. If you’re in that boat, however, it is not the end of the world. There are steps you can take to reduce the impact of unpaid taxes on your life, credit and financial well-being. Tip 1: Don’t ignore the problem. The IRS will not. Even if you can’t pay what you owe, file your return on time or, if that’s not possible, file for an extension. The late filing penalty is 5 percent of the tax owed per month up to a maximum of 25 percent of the balance. There is also an underpayment penalty of 0.5 percent to 1 percent per month of the balance owed, also up to 25 percent. If you don’t file your return or make any payment on your obligation, your tax debt will grow rapidly. The IRS should be first on your list to pay if you have issues with other creditors. Tip 2: Be realistic about your situation. The IRS rarely forgives tax debts. Form 656 is the application for an “offer in compromise” to settle your tax liability for less than what you owe. Such deals are only given to people experiencing true financial hardship. If you or your family have had catastrophic health-care expenses or you’ve lost your job and have poor prospects for generating income in the future, you may qualify. It doesn’t happen often. Tip 3: Owe less than $10,000? Handle it yourself. How big is the balance? If it’s less than $10,000, you’re probably capable of handling the matter yourself rather than paying someone to help you deal with the IRS. Form 9465, the IRS application for an installment payment plan, can be filed online. The service will automatically agree to such a plan for any taxpayer who owes less than $10,000. The plans typically allow you to pay off the balance owed plus penalties and interest over a 36-month period. Tip 4: Owe $10,000-plus? Hire an attorney. If you owe more than $10,000, consider hiring a tax attorney to negotiate with the IRS. Payment plans differ, and an experienced attorney can help you get better terms. They can also help you avoid having a tax lien being assessed against you, which will damage your credit. Consult a resource such as the SuperMoney website, which allows consumers to compare the offers, rates and fees of tax-relief companies and provides some background on firms’ experience and things like the number of licensed attorneys on staff. The best-case scenario for taxpayers with large debts to the government is to arrange a streamlined installment agreement. As part of the Fresh Start program initiated by the IRS in 2011, taxpayers with up to $100,000 in tax debt can now qualify for such an agreement. To do so, you have to file all your past tax returns and not have entered into another installment agreement within the last five years. You also won’t qualify if you’re filing for personal bankruptcy. 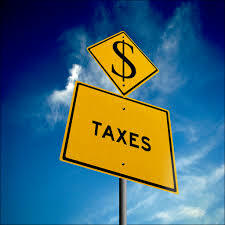 If you have a tax liability you can’t afford to pay, don’t avoid the issue. You can work with the IRS to deal with it. The benefits are significant. Taxpayers can have up to 84 months to pay the balance owed as long as the term doesn’t extend beyond the collection statute expiration date — 10 years from the date of the assessment. And the payment period may be extended beyond that if you agree to sign a waiver. You also won’t have to disclose your assets and income to the IRS. If you agree to pay via a direct debit or payroll-deduction plan, the IRS will not place a tax lien on you.